The land of white elephants beckons you to discover its best . If a 200 Hour Yoga Teacher Training in Thailand program is what you are looking for, Thailand is the ultimate destination. In the land of smiles, peace and harmony reign- the perfect setting to embark on a journey of self-discovery through nature, culture and the historical art of yoga. With experienced teachers coming from India, students can enjoy the serenity of Thailand combined with the valuable guidance of authentic practitioners of Himalayan Yoga Association in Thailand. Thailand gives you the opportunity to discover the most beautiful beaches, picturesque hiking trails, and wide views. Practice yoga by the riverside, meditate on the top of a waterfall located deep in the lush jungle, or take a boat ride to remote and unexplored islands. Immerse yourself in your spiritual practice by visiting one of the many exquisitely decorated temples; listening to soulful Mantras and practicing meditation techniques with some of the oldest Buddhist monks in Southeast Asia. The beautiful country of Thailand has really inspired our yoga school based in India to extend our yoga classes here. During your stay in Thailand, the following visiting places should definitely not be missed. Phang Nga Bay is one of the most picturesque places in Thailand. Well, all you want to do is dive into emerald green water. Phang Nga Bay has a popular island called Khao Phing Khan also known as James Bond Island (as part of the Bond film, the man with the golden gun was filmed here). One of the most important scenes of the film showed a vision of a sea pile called Ko Tapu, which is now very famous among tourists. Other attractions of the bay include water caves, limestone caves where you can also kayak and explore the roofs of clastic rock. At sunset, the golden pagodas light the city of Bangkok. A visit to the capital of Thailand without a visit to the Grand Palace is similar to that of not paying a visit to the Taj Mahal when in Agra. Hidden in the walled complex, the Grand Palace is a famous attraction that attracts tourists from all corners. Located on the banks of the Chao Phraya river, the complex houses a number of rooms, halls, aqueducts, and other buildings, mixed in with the courtyards and lush gardens. It offers a picturesque setting, perfect for taking breathtaking photographs. The famous attraction in the surroundings is the Emerald Buddha Temple, which is located on the left as soon as you enter the main entrance of Visetchaisri. The Historical Park of Ayutthaya exhibits the ruins of the largest cities in the world. What is so interesting about this place is that it shows brilliant examples of Thai art and today, a section of this historical site is under UNESCO protection. Other attractions in the Historic Park of Ayutthaya include Wat Ratchaburana, Wat Phra Sri Sanphet, Wat Mahathat, wiharn Phra Mongkhon Bopit and Wat Phra Ram .The main attraction here is the head of the Buddha that comes from the branches of a tree, this is probably the most photographed in the park together at Wat Yai Chai Mongkol. However, this restored city allows visitors to experience a wide range of architectural styles . Much of Thailand’s culture comes from Thai ethnicity. One of the most important influences on Thai culture is Buddhism. Many of the traditions and beliefs of the Thai people have been derived directly from Buddhist principles. Hinduism has also made important contributions to Thai culture, and the close links between Thailand and India can be seen in art, literature and many Thai customs. Although family life and Thai society are traditionally dominated by men, women are given considerable respect. Laws, and recent laws have allowed women to abandon traditional roles and engage in professions such as politics, medicine and business. In recent decades, respect for and equality of women’s rights have become an important part of Thailand’s legislation and values. Thailand offers the perfect picture of a nature-oriented brilliance blended in with the majestic Thai culture. Visitors love this place and often visit it to encounter its blissful beauty, majestic waterfalls, captivating sightseeing and last but not the least to meet the friendly people and have an interaction with their gentle way of life. 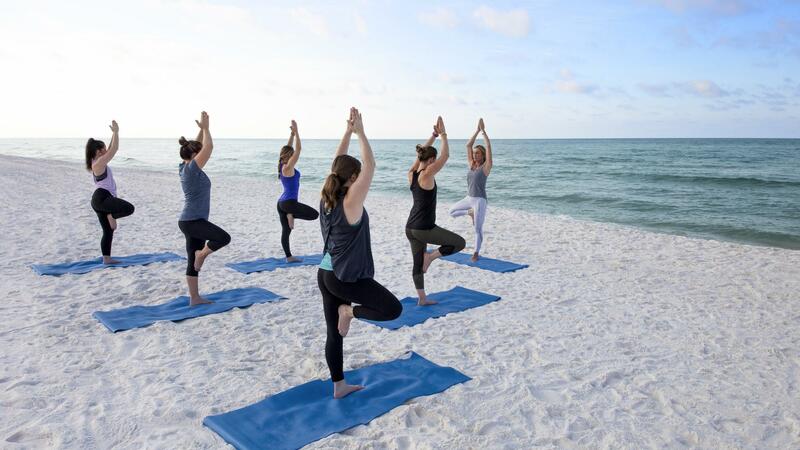 Thailand offers you the perfect yoga retreats to help you in discovering a new you in the midst of beautiful beaches, picturesque hiking trails, and scenic views. It is the most sought after location for yoga teacher training course. Yoga enthusiasts love visiting Thailand to explore the yogi in themselves. As yoga continues to gain much popularity , the demand for accomplished and professional yoga teachers also is seen on the rise. Not only does yoga improve your physical health but it also benefits your overall well-being. So it is important to consider this profession on a serious note if you aim to become a professional yoga guru. Merely, getting to know the principles of yoga is inadequate until and unless you are familiar with the ins and outs of this discipline. Remember prior to your becoming a teacher and teaching yoga to others, you yourself have to go through thorough training and education to get yourself well oriented with the correct techniques to perform yoga practices. So, be a part of Himalayan Yoga Association and embark upon your journey to become an ideal yoga teacher. By joining our course on yoga teacher training, you will be able to avail a vast ocean of knowledge in this field. Himalayan Yoga Association has chosen Yoga Retreat in Thailand for their programs on Yoga teacher training so as to let you delve deep into this spiritual practice amidst such a spectacular embrace. People from nations far and wide visit Thailand to become certified yoga teachers while choosing to pursue the teacher training course in their favorite place. Of course you will find several yoga schools in Thailand, however Himalayan Yoga Association inculcates the perfect combination of ancient teachings in their curriculum with the correct source and perfect ambience to enable the smooth flow of learning and practice of yoga. Our trained gurus will make the students experience the rituals and practices intensely, which help detox the mind and body from within and rejuvenate the senses. All our courses are certified by Yoga Alliance USA. So join our 200 Hour Yoga Teacher Training Course in Thailand and become a certified yoga teacher to brighten your career in this education field.